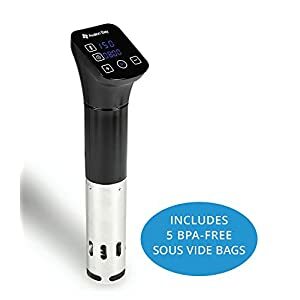 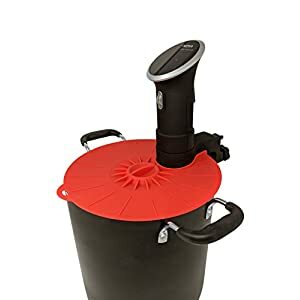 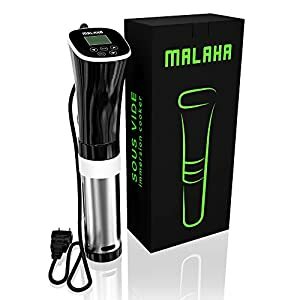 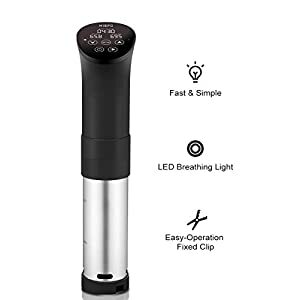 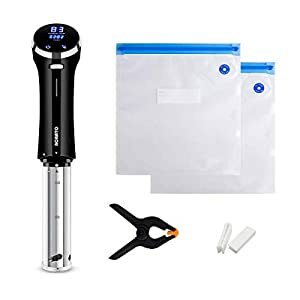 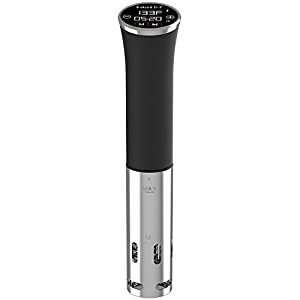 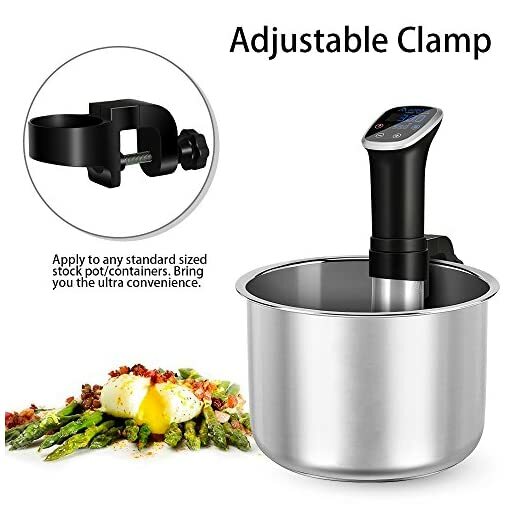 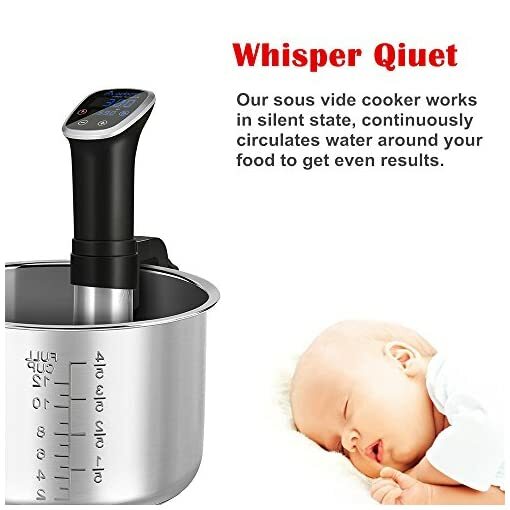 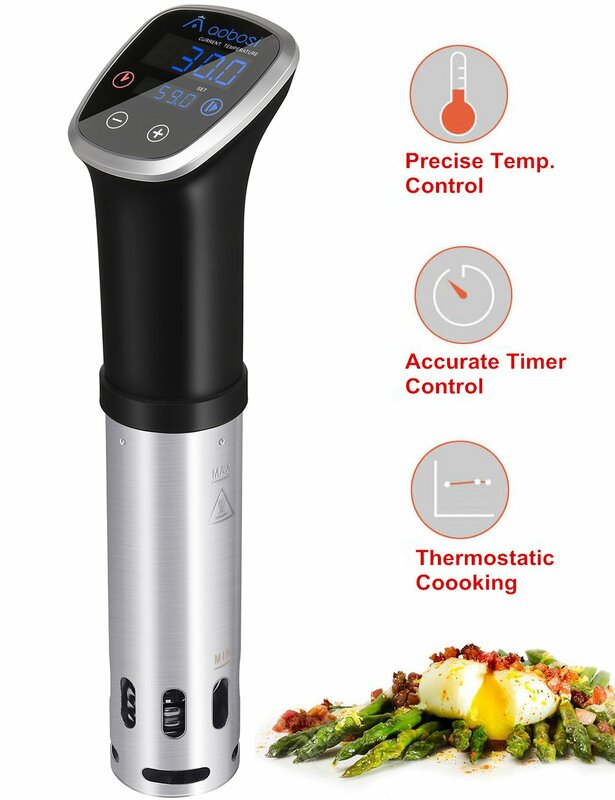 【Professional Sous Vide Cooker, Super Low Noise】Save $20 by COUPON.Featuring high quality heating element,the smart sous vide stick allows you to enjoy an easy technique that prepare your food perfectly and hassle-free. 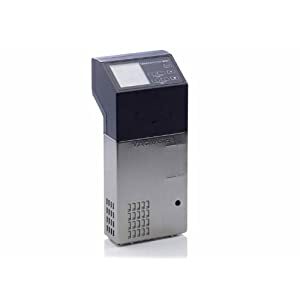 Large digital LED display for easy read-out. 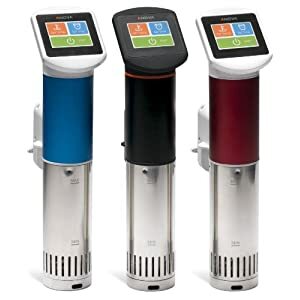 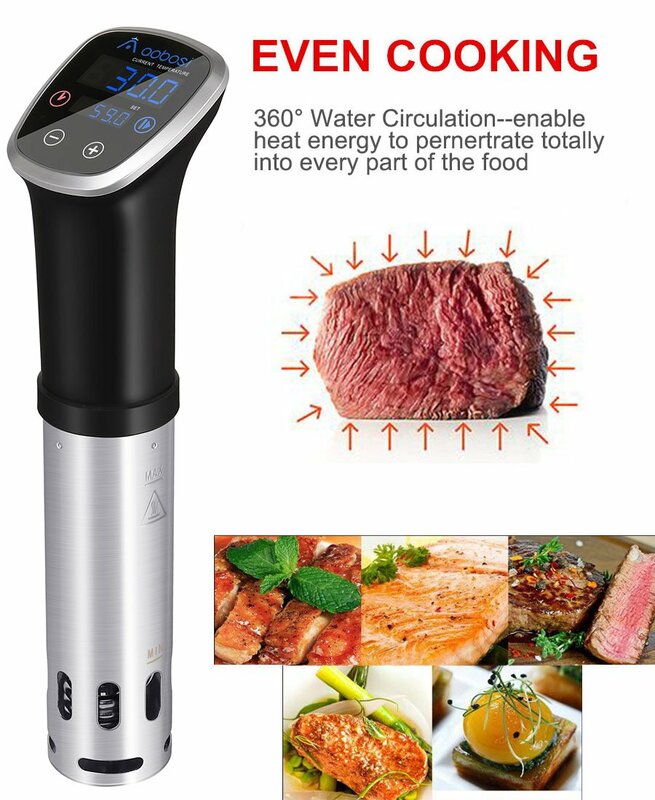 【Make Gourmet Quality Food At Home!】 The digital immersion circulator cook the sealed food under water,100% locking in juices, flavor, and preserving the nutritional quality of food with incomparable taste and texture.From Beef, Chicken, Pork, Seafood, Egg, Pasta,Dessert to Vegetarian, everything comes out predictably perfect with Aobosi precision cooker! 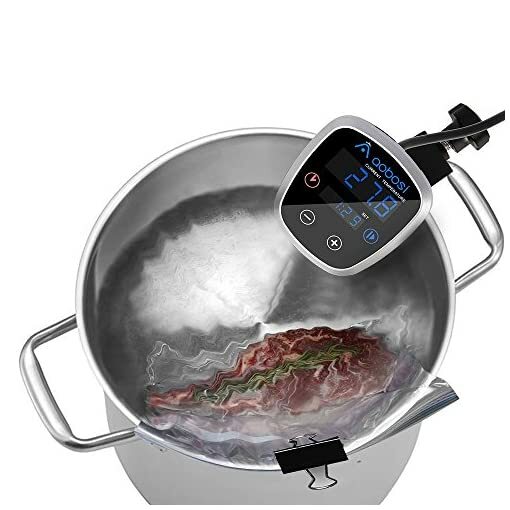 【3D Cirlation System】Featuring a 360 directional pump,the sous vide machine circulates the thermostatic water around food,ensuring heat engergy to penetrate thoroughly into every part of food. 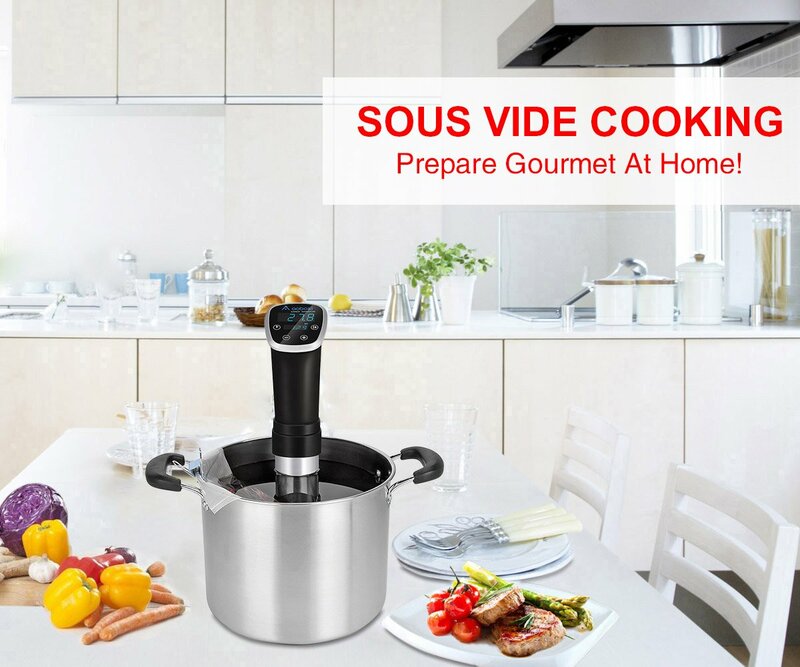 Make evenly cooked dish that will impress family & friends alike. 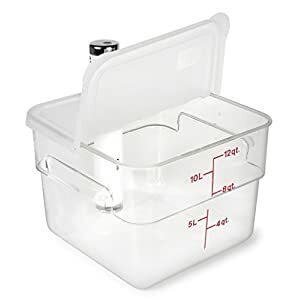 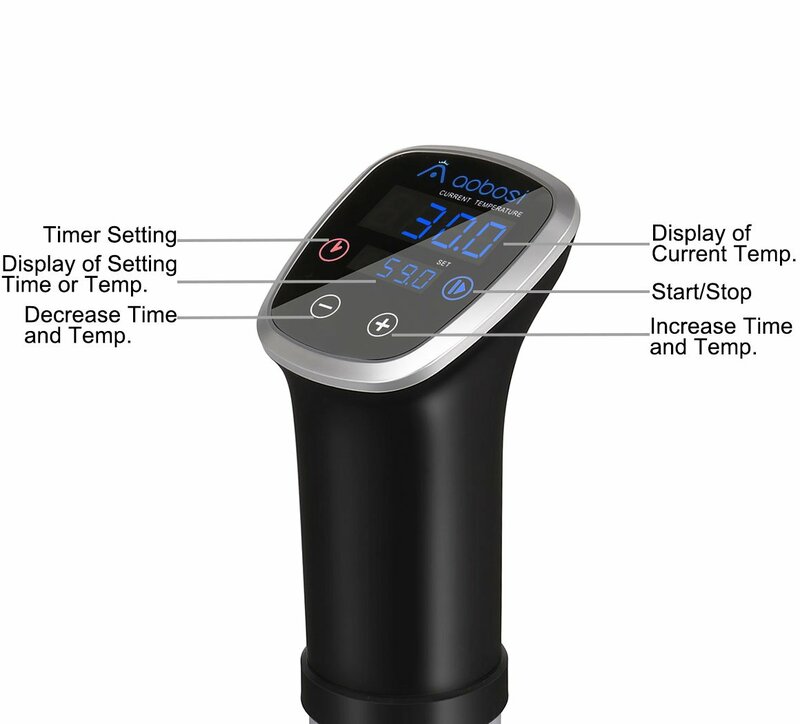 【Adjustable Temperature and Time】With Aobosi sous vide cooker, you can switch either Celsius or Fahrenheit at ease.The precise design of temperature(68°F-212°F) and timer(up to 99 hours 59 minutes),allows you to fully control your cooking by setting perfect time and temperature.No more overcooking. 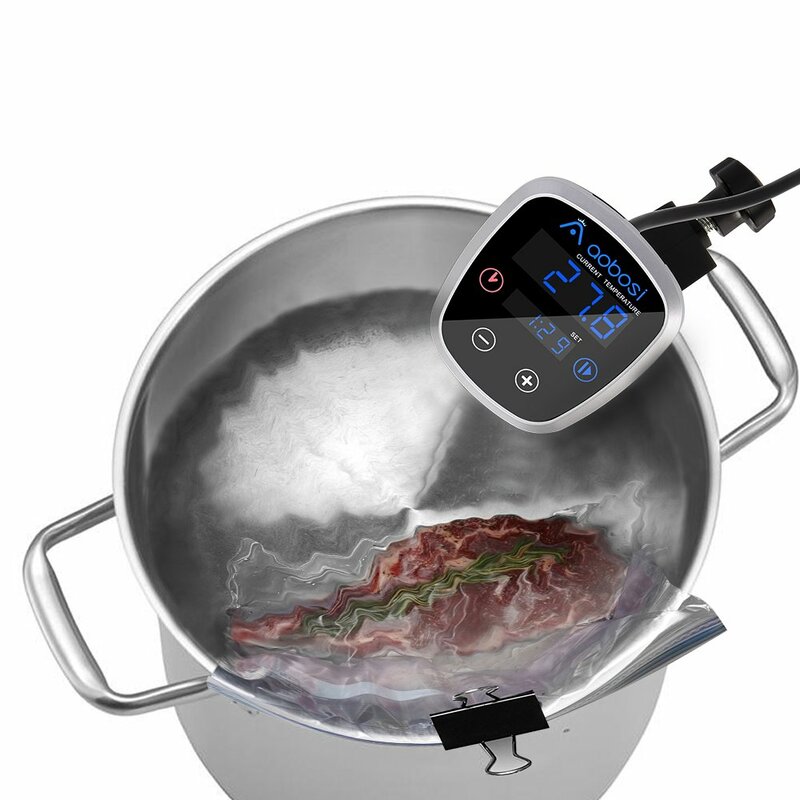 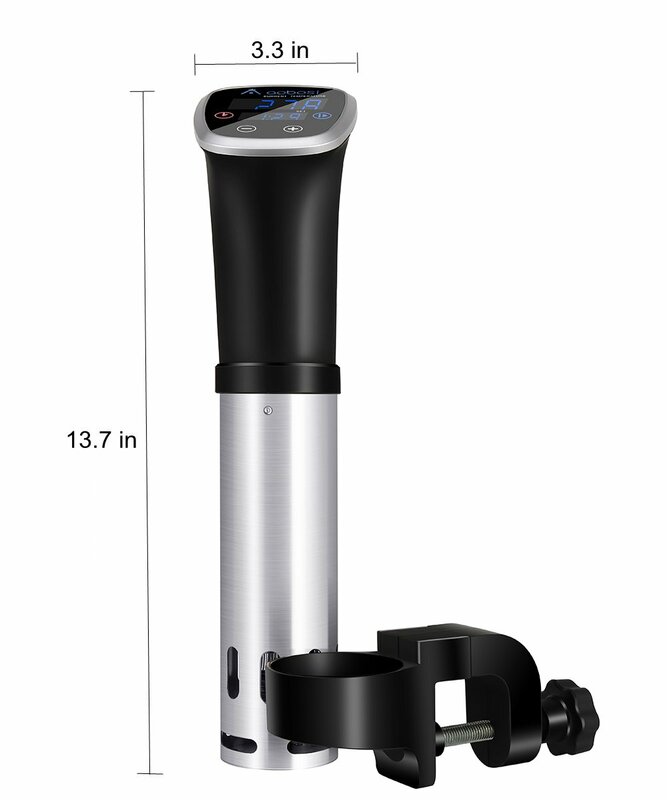 【Certification and Warranty】Aobosi sous vide precision cooker is ETL approved with advanced safety technology. 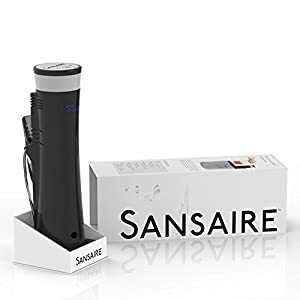 Safe to use.We offer 1-Year Warranty and excellent customer service.Provide customers with assurance and confidence.